Q: What is the MS Gym? A: The purpose and goal of the MS Gym is to educate the Multiple Sclerosis Community how to exercise safely, correctly, and effectively in order to manage your symptoms, teach your brain new ways to move around your damaged nerves, and to slow the progression of MS or rebuild after MS progression has been stopped. Q: Who are Trevor and Misty Wicken? A: Trevor and his wife Misty are the founders and creators of the MS Gym. Visit our About Us section to read about Trevor’s story and the MS Gym team. Q: Where is the MS Gym located? Can I train with an MS Gym coach in person? A: The MS Gym facility is in Littleton, Colorado. Currently, most of the programming is online via Facebook and within the Membership program. Virtual training will be available in the future. You can train in person with Trevor’s team by traveling to Colorado. For specifics on scheduling an in-person session, please visit the In-Person Training page. Q: How do I get in touch with someone at The MS Gym? A: Please visit our Contact page for details. Q: What is the MS Gym Facebook page? 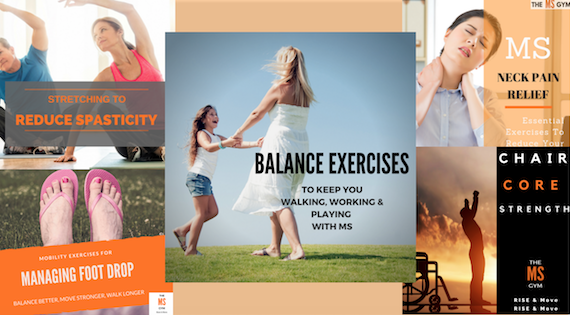 A: The MS Gym Facebook page is a closed group that provides free daily exercise and weekly motivational videos designed to help and encourage those affected by MS symptoms. Q: Who can join the MS Gym closed Facebook group and what is the process? This is a site for MS patients to learn how to fight back against MS. To join, please visit the MS Gym Facebook Group and click the “Join Group” button. There are 5 questions that MUST BE ANSWERED carefully before your request will be approved. Upon approval, you are required to carefully read the pinned post “Terms and Conditions” in full. If you do not receive a join notification, your didn’t answer all the questions, and should attempt to join again. If you are unable to access a computer without assistance, a caregiver or family member may join on your behalf. Likewise, a spouse may join for a partner who is not on social media as long as they have unrestricted daily access to their FB account. Q: I value my privacy and don’t want to reveal my medical history during the join process. A: This information is required in full for any personal training or exercise programming situation, for your own safety. Without complete answers, your request to join will be declined. Q: I am new to the MS Gym Facebook page, where should I start ? A: First, download one of the free exercise guides. Choose the one that is most applicable to your symptoms, and build up slowly until you can do the entire guide once or twice a day for 1 – 2 weeks. When you are comfortable with your daily routine, you can start following along with the daily Facebook Live exercise videos. From Monday to Thursday, The MS Gym releases a video teaching 1-3 exercises in detail. Each day practice the previous day(s) video(s), then the new one to learn each movement and cue correctly. On Friday, the entire circuit is presented by an MS Gym certified instructor and you will follow along in real time. You may save the most helpful circuits by clicking on the “more options” button (the three horizontal dots at the top right of the video) and selecting “Save video.” To find your saved items, click Saved in the left side menu of the Facebook homepage. Q: I’m watching a video and the comments are covering too much of the screen. Can I hide them? A: On mobile devices you can swipe right to hide the comments on a video. Q: I’m in a wheelchair. Are there modifications for me to do all the exercises? A: Yes, most of the exercises can be done on your bed or sitting in a chair if you can’t get to the floor. Try to replicate the exercises demonstrated in your chair as best you can and ask questions in the “comments” section under that day’s video if you are having trouble modifying for your own situation. You can also use the search function to find earlier chair full circuits. Q: I have symptom x, what exercises do you recommend that I do? A: Type in your symptoms in the SEARCH field on the top of the feed. As time goes on more symptoms will be addressed. Add the words “full circuit” to find the whole circuit, but please look for the five days preceding to learn the exercises well. Q: Where is the best place to ask an exercise-specific question? A: The best place to ask is underneath the daily live video that prompted your question. You will be helped most quickly by our team of moderators or other MS Gym members. If it is a more complex question, please hit return on one of Trevor’s weekly emails and explain your situation. Please be aware that Trevor receives hundreds of emails a week and we thank you for your patience. Q: These exercises are really helping me. What if I want to go deeper? Do you have any more comprehensive programs? A: YES! The R.I.S.E. Movement System is a System. The videos posted in this Facebook group serve to educate you on how to do ONE exercise at a time that are part of a Movement Circuit. These movement circuits focus mainly on the Rebalancing component of the RISE Movement system that also includes integrated balance, functional strengthening, and neurologic endurance training. For those who want a deeper, more integrated approach including ALL aspects of the R.I.S.E. Movement System, we recommend the Membership program at The MS Gym. Q: What is the MS Gym membership? A: Membership provides comprehensive programming at your own pace, starting with a full wheelchair program called Sitting Strong, a variety of programs with new ones added on an ongoing basis, a vibrant community that is supportive and encouraging, and quicker access to R.I.S.E. Movement Solutions trainers for your specific exercise questions. Future comprehensive programming will cover not only body weight training, but resistance bands, dumbbells, kettlebells, and suspension straps. Q: How much does the MS Gym membership cost, and how do I join? A: The membership is $30 a month, or $288 for a year. Visit the MS Gym Membership information page for more details. Q: Where do I log in to the MS Gym membership site, and what if I’m having problems logging in? A: Visit the MS Gym Membership login page. If you have forgotten your password, you can click on the “Forgot password” link at the bottom of the login page to reset your password. If you have multiple email addresses, be sure that you are using the email address that you used to subscribe to the membership. If you are still unable to log in, please email us at info@themsgym.com for assistance. Q: What is the Members Only Facebook page, and where do I find it? A: The Members Only Corner on Facebook is a closed group that is exclusively for those who have purchased a subscription membership. The Members Only Corner is a place to post your victories, share stories, tips and tricks with each other and Trevor and Misty. When you request to join the Members Only Corner, you’ll be asked several questions and will need to provide a passcode. Q: What’s the difference between The MS Gym Facebook group, the membership and the Members Only Corner? A: The MS Gym Facebook page is a free Facebook group with daily exercises. The MS Gym membership is a paid subscription site where the daily exercise programming has already been designed for you. The Members Only Corner Facebook group is exclusively for members of the subscription site, and is a place for sharing victories and receiving support. What MS Symptoms Are Limiting Your Life?